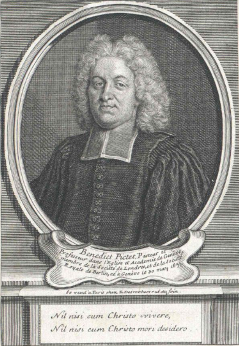 In addition to previous posts on the assurance of election from Heinrich Bullinger and Joseph Alleine, this is my translation of Book VII, Chapter III of the Theologia Christiana of Bénédict Pictet (1655-1724), who served as professor of theology at Geneva and was the nephew of Francis Turretin. 1. Not only is the election of believers certain and immutable, but they can also be certain that they are elected; of course not by ascending into heaven to unfold the book of life, but by descending into themselves, as it were, paging through the book of conscience, and observing in themselves the fruits of election. 2. For firstly and truly, if believers can know that they have faith, they can be certain of their election, because faith is the effect of election; yet they can know that they possess faith, as is sufficiently proved by that passage of Paul, in which he commands believers to examine ‘whether they be in the faith,’ (2 Cor. 13:5) for in vain would the apostle command this, if it were impossible to know it. 3. Secondly, if believers can know that they are the children of God, then it follows that they can be certain of their election. For verily it is clear that all the children of God are elected, and so beyond controversy it is affirmed, since Paul teaches that ‘the Spirit itself bears witness with our spirits, that we are the children of God,’ (Rom. 8:16). [So it comes down to] whether or not a believer believes the testimony of the Spirit, and if he believes the testimony of the Spirit, he knows that he is a child of God, and if he knows he is a child, he is therefore certain of his election. 4. We are likewise said to be ‘sealed by the Holy Spirit unto the day of redemption,’ (Eph. 4:30). For how could this take place, that we are sealed by the Holy Spirit, unless we perceive it? Indeed the operation of the Holy Spirit imbues souls with such sweetness and joy, that it cannot be hidden from a believer; hence John says, ‘hereby know we that we dwell in him, and he in us, because he has given us of his Spirit.’ (1 Jn. 4:13). Now how can it be possible that we know that the Holy Spirit has been given to us, and yet be ignorant of our election, since the Holy Spirit is given to none other than the elect? 5. Not least do the examples of the saints establish this truth, who, being sure of their salvation and election, asserted boldly and with the greatest confidence that no created thing, not even death itself, could separate them from the love of God (Rom. 8:38). Secondly, many in the church tend to wrongly boast of this assurance with usurped confidence, greatly abusing it; hence it is sometimes better to hear the groans of a mourning believer, than the exultations of one who rejoices, not through faith, but of self-opinion. And it often happens that those who presume deceive themselves. But those who groan and, with the publican, dare not lift up their eyes, nevertheless possess the very thing which they sense they do not have, while others shall discover afterwards, by the just judgment of God, to be deprived of what they by vain presumption supposed they possessed. 7. 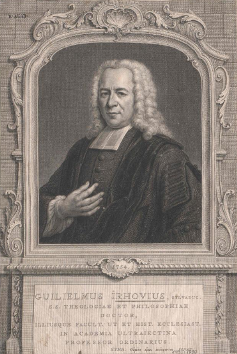 Thirdly, one should not immediately despair of a believer, even though at individual moments he may not sense the testimony of the Holy Spirit, because the divine Spirit conducts himself with believers in such a way, that he rather often deprives them of the sense of his love for a number of intervals, in order that they, thinking humbly of themselves, may begin to grieve over the sins they have committed. 8. Fourthly, there is no true believer that is not sometimes certain of his election and salvation, for although the sense of present grace and the hope of the future may for a time be laid asleep in the children of God, yet the believing soul breaks out of that abyss when God restores to it the joy of his salvation. Hence, if sometimes the soul groans, struggles, sighs, is agitated, and fears, yet shortly afterwards it sings, trusts, rejoices, and triumphs, as if over a conquered enemy; as is seen in the cases of David, Asaph, Paul, and others. At any rate we believe that it is very rare that true believers die having doubts about their salvation. 9. Fifthly, this assurance cannot become effective apart from the pursuit of holiness; for a man who persists in sin and yet persuades himself that he is elected to eternal life and will be certainly saved – he who thinks such of himself would rather deceive himself with a vain hope. Indeed, on the contrary, a man who should indulge his carnal lusts, and rush headlong into sin, should be persuaded that he is in a state of damnation, and that eternal destruction hangs over him, unless he immediately turns and amends his ways. 10. Sixthly, this assurance is not incompatible with that fear and trembling, with which we are commanded to work out our salvation (Phil. 2:12). For this fear is not servile, distrustful, and despairing, but filial, humble, reverential, and of pious solicitude. 11. There are two diseases of the mind, which tend to corrupt faith: carnal security, and pride of heart. For both these evils, the remedy is fear: for pride, a humble and reverential fear; for security, a solicitous fear, that we should make use of all the necessary means. From the former the believer learns to think humbly of himself and highly of God; from the latter he learns that he must not be slothful in the way of salvation. 12. Seventhly, this doctrine of the assurance of election must be set forth cautiously and prudently, for the solace of afflicted consciences, not for the security of the profane. Nor should it ever be enforced without constantly requiring the pursuit of sanctification and repentance. If anyone should ask how he may obtain certainty regarding his election, let him have this answer: God has given him two books by which he may attain this knowledge – the book of scripture and the book of conscience. In the book of scripture the marks of election are delineated; in the book of conscience he can read and discover whether he has these [marks] in himself. These are 1) true faith, 2) hatred of and fleeing from sin, 3) a sincere pursuit after holiness, 4) unfeigned love to God, even in the midst of afflictions, 5) love to our neighbours and even our enemies, 6) and a heart disdaining the world, and panting after heaven.